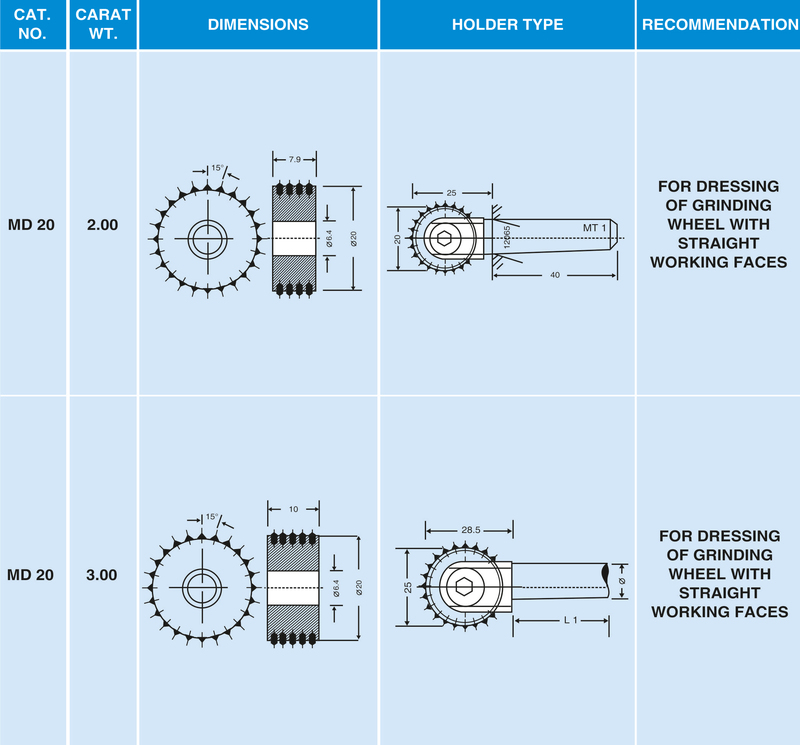 Multipoint Disc dressers are normally used in small grinding wheels on internal grinding machines, The diamonds are set evenly in rows across the face of the disc. First class needle shape diamonds are used, set in a special sintered bonds. Multipoint disc dresser are perfectly simple to use. Its operation is basically the same as that of a single point diamond dresser except that, after each row of diamonds has been used, new points can be put into operation simple by rotating the disc slightly. An ample supply of coolant and depth of cut of 002 - 0.03 mm. max are prerequisite for long tool life. Multipoint disc dressers can be used at any angle and therefore in any application. To optimise the life of multipoint disc type dresser, we recommend that the complete disc be t turned 180° from time to time to utilise the self sharpening effect produced by wear.